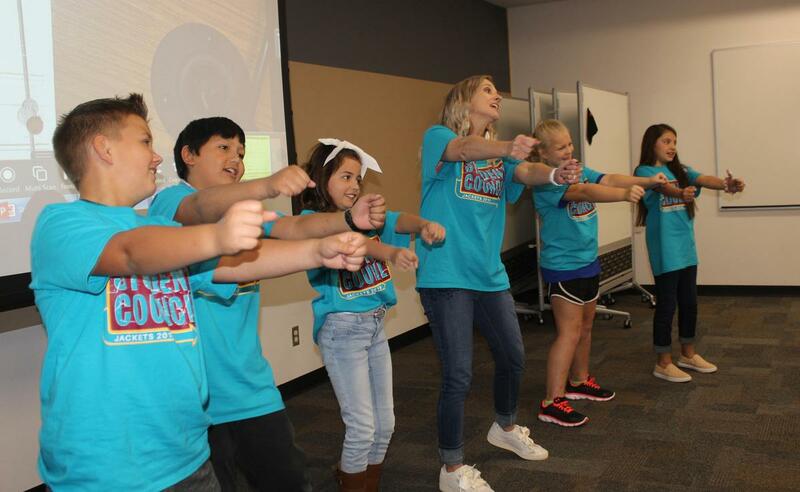 Student leaders from Cleburne ISD’s seven elementary campus came together this week to learn parliamentary procedures, create action plans and share ideas as participants in Student Council training. The workshop was organized by Gerard Elementary Student Council sponsor Gina Wade, at the suggestion and encouragement of Principal Tracy White. Wade’s career as an elementary teacher has included 12 years of involvement as a student council sponsor. As a former member of the Coleman Elementary faculty, she worked with students to achieve state recognition for their Stu Co unit in 2016. The fifty-plus students in attendance, primarily fourth and fifth graders, were provided with an overview of the purpose and function of Student Council and the correct way to run a meeting utilizing agendas, recording minutes, making motions and taking time for discussion. The day also included planning for activities or projects, the exchange of ideas and some brainstorming, with songs and raps blended in to engage and energize. Adams Elementary science teacher and Student Council Sponsor Joni Melson accompanied her campus officers to the training. 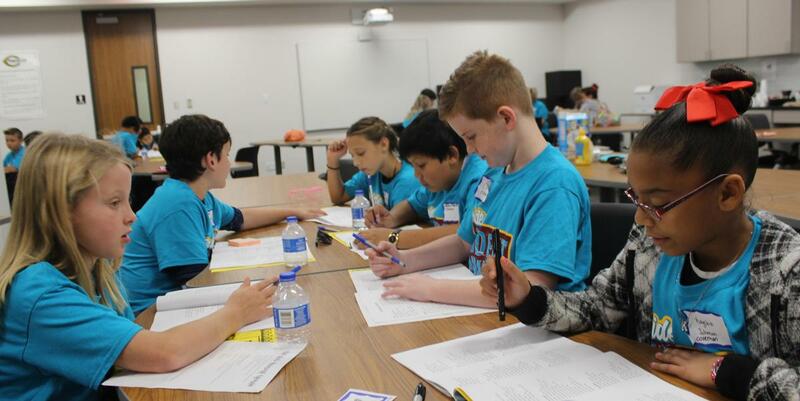 Adams Co-President Beaux Douthitt said involvement in Student Council has developed leadership skills—and more. Tatum Byrd, who is the Gerard Student Council chaplain, said involvement helps her to help others. Wade’s involvement with Student Council is a carryover from her high school days. 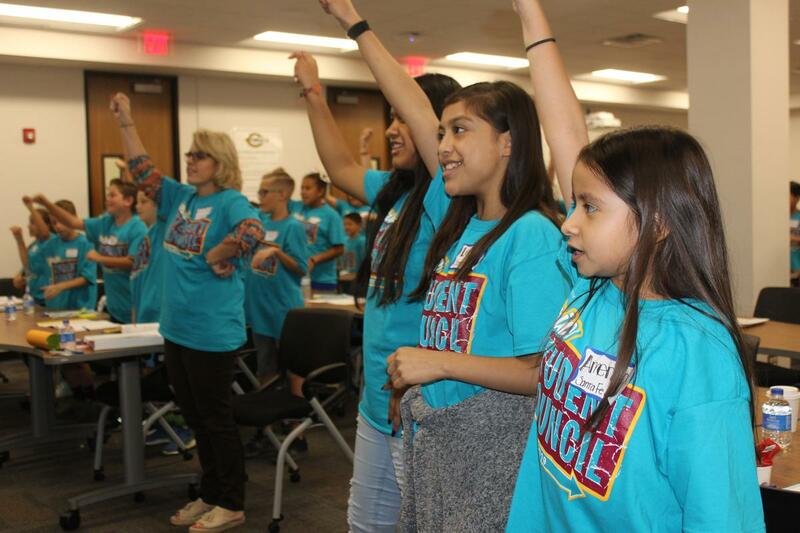 Each CISD elementary council has its own particular structure, some electing grade level representatives rather than officers, some designating Student Council for the third-fifth grades. Fourth grader Anthony Garcia, who holds the office of student relations on the Cooke Elementary Student Council, gave the training some positive feedback at the mid-morning break. Garcia’s student relations position includes making Wildcats new to his school feel welcome. It’s an initiative that other elementary councils are considering for adoption in this school year. Another concept receiving 100 percent consensus from the student leaders was planning visits to each other’s campuses. Santa Fe fifth grade student leaders America De la Paz, Leslie Chavez and Emily Jimenez were among the participants in Student Council training involving CISD’s seven elementary schools. The 50-plus students spent the day learning parliamentary procedures, creating action plans and sharing ideas.